On the most important day of her life what Bride doesn't want to feel like a Princess? 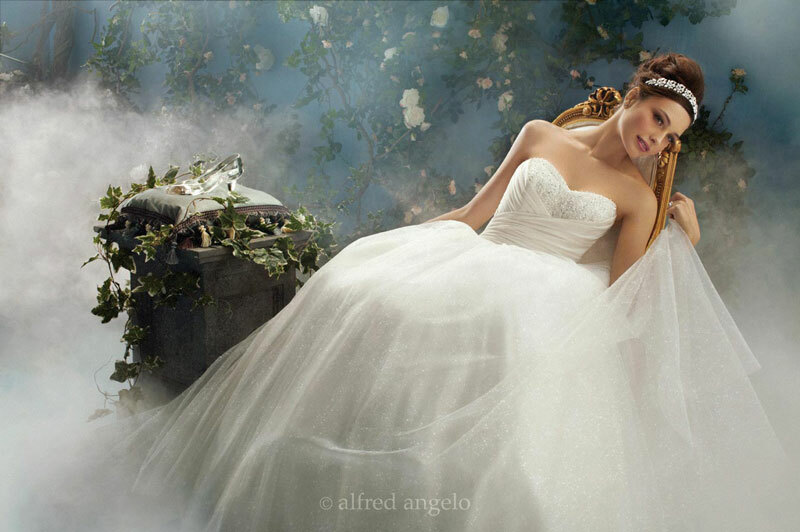 Wedding Dress Designer, Alfred Angelo has created an entire line of gowns in his "Fairy Tale Weddings" collection, all of which represent a different Disney Princess! 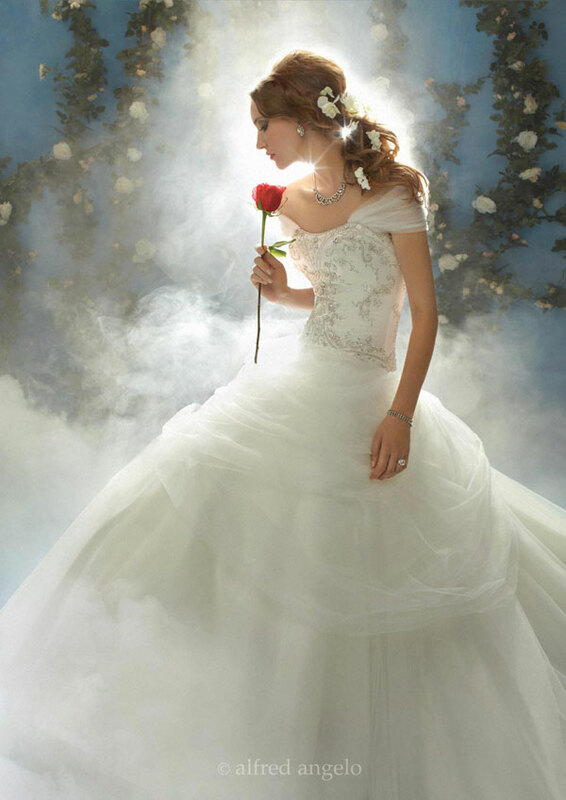 Now all the girls out there who want the Cinderella fairy tale wedding, can even dress based on her inspiration. 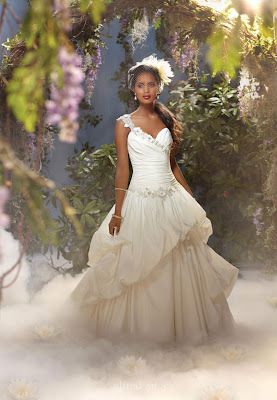 Check out some of the beautiful designs below and see if you can tell how the designer took aspects of each Princess and incorporated it into each dress! Who was your favorite Disney Princess growing up? Is the dress designed in her image something you like now? 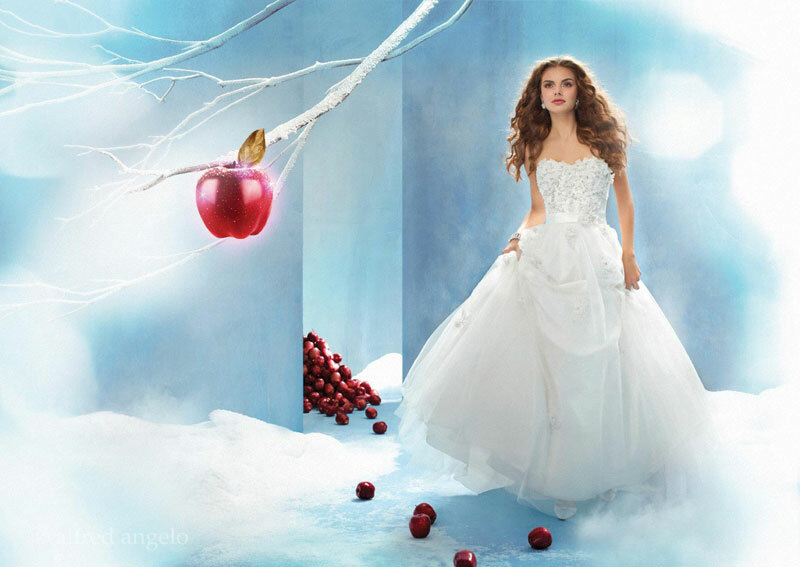 Be sure to visit Alfred Angelo's website at http://www.alfredangelo.com/ to find out more information about the dresses and his other lines! Alice in Wonderland - Bring elements of this Lewis Carroll fairytale into your themed wedding. Why not have a tea party? Use Alice in Wonderland character cut outs such as the White Rabbit, and the Cheshire Cat in your decor. Have the groom dress as the Mad Hatter. 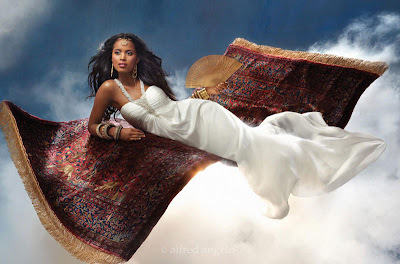 Angel - Bring a celestial charm to your wedding. Cherubs in all shapes and sizes can be used as a motif for all your wedding related decor.